And add style and glamour to any room in your home! Surrounded by stylish and pleasant furniture that is both functional and practical for you and your family is a basic need of any style trend. What if you could win £250 to spend across the Tub Chairs range, and add stylish seating to your home? Comfortable seating is something Sloane and Sons Tub Chairs know all about. Which is why we carry a range that is effortlessly stylish, a must for the discerning customer. The iconic shape of the traditional wing-backed armchair is not lost on anyone. 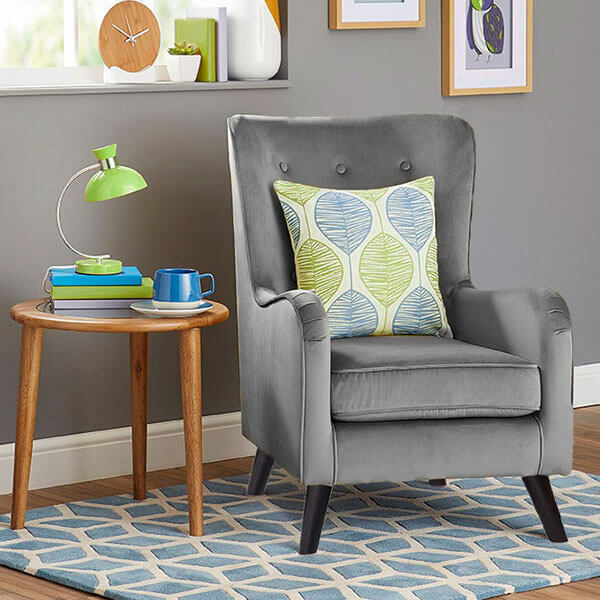 Synonymous with comfort and warmth, the familiar shape of this imposing yet elegant armchair is perfect for an evening at the fireside or in your reading nook. Snuggled in its comfortable depths, you feel the stress of life ebb away. The Angel chair has a modern edge to it that many are attracted too. With a high back and lower arms, it is an armchair option that works with every interior design style from an accent chair in a minimalist scheme to a pair of armchairs in a living room designed along rustic, traditional or industrial lines. If you prefer a low backed chair with curvaceous appeal, then the tub chair will be your armchair of choice. It is at home in a myriad of spaces and rooms, from the living room to a modern teenage bedroom to the home office. The choice and range and patterns of the three armchair signature styles from Tub Chairs are a sheer delight. So much choice, so many decisions! Priding ourselves on exceptional customer service, you can now benefit from fantastic armchairs for your home by entering our competition to win £250 to spend across the entire range at Tub Chairs. Competition Ends on the 31/12/2018. A winner will be selected at random and we will contact them via email. Office and marketing manager for Sloane & Sons Stylish Chairs, who sell a range of high-quality tub chairs, accent chairs and more. © 2018 Reformation Ltd trading as Sloane & Sons. All rights reserved.